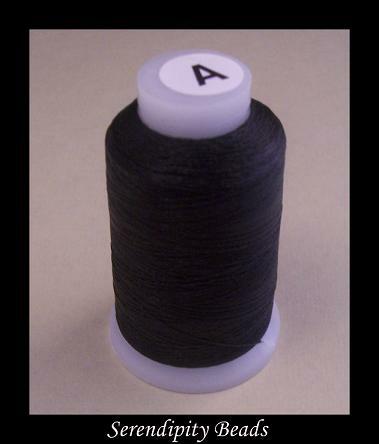 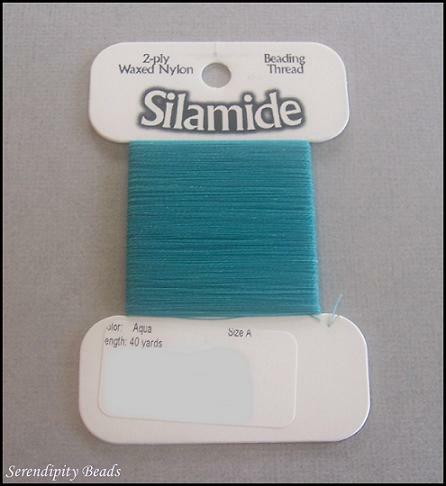 Silamide thread, 2-ply waxed nylon, size A. 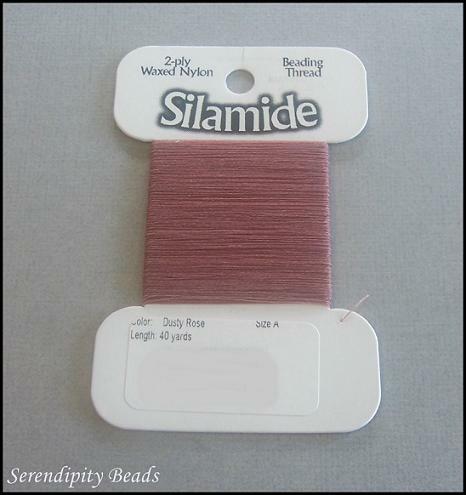 Sold per 40yd Card. 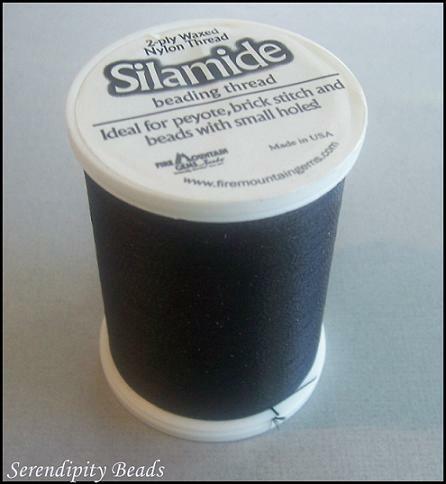 Great for bead weaving. 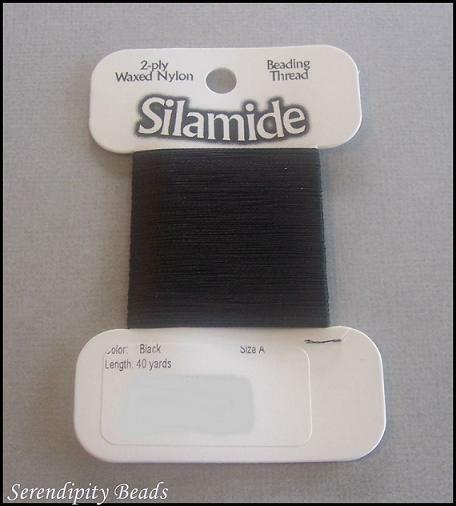 Must always be used doubled for extra strength. 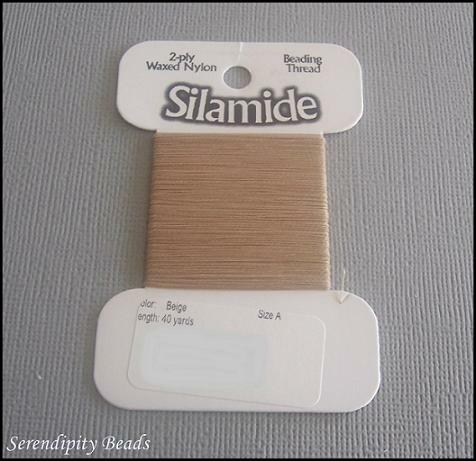 There is no need to wax this thread.